An excellent accessory is a Louvre window. 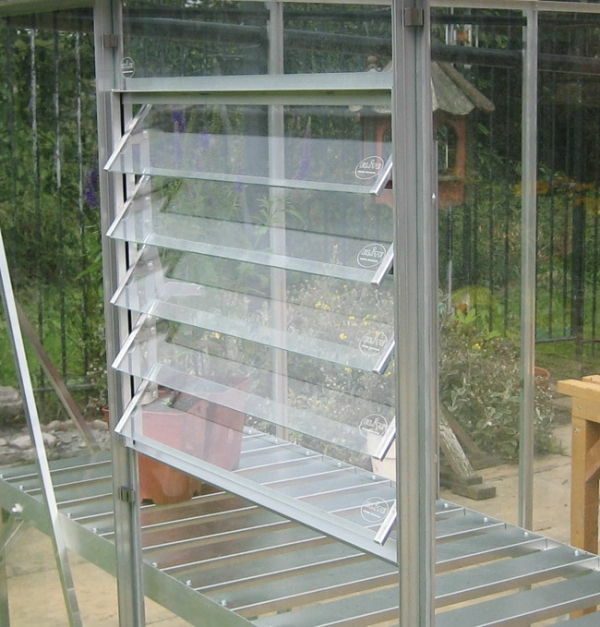 Elite offer a 5 blade and 10 blade Louvre (the 10 blade is available only on the Elite Titan range) and both are glazed with toughened safety glass as standard and aluminium or polycarbonate blades are also an option. Humid and stagnant air can cause condensation and develops disease and mould in plants. By adding a Louvre on the side or rear of your Elite building, fresh air is drawn in and encouraged to circulate from different levels.